installation support services in the industry. cybersecurity and identity theft protection. 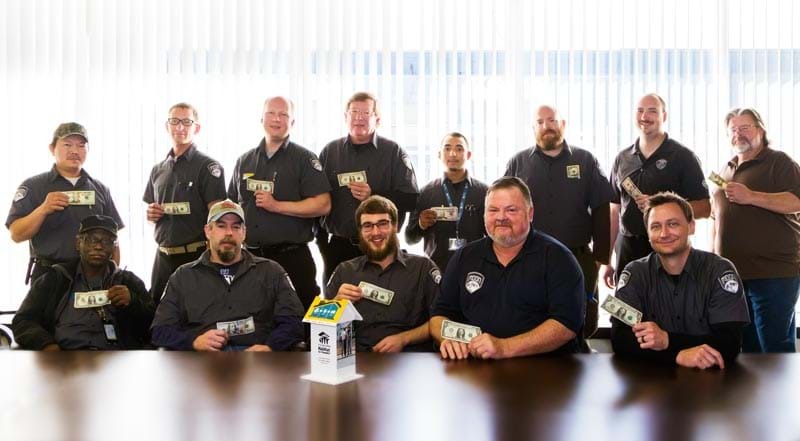 Moon Security Technicians supporting Habitat for Humanity's "The Power of One"
Moon Security is celebrating 60 years of business in the Pacific Northwest and ranks among the Top 100 security industry companies in the nation. Moon Security is the only provider in southeast Washington that owns and operates a Certified Five-Diamond Alarm Monitoring, UL-Listed Central Station—one of the most arduous accreditations in alarm monitoring issued by The Monitoring Association (formerly Central Station Alarm Association). Employees know customers come first and this philosophy is reflected in every interaction. Moon Security technicians are licensed, bonded, trained and certified in the latest technologies. Today's solutions work in tandem so you not only get security, but enhanced business operations and process improvements that boost your return on investment with additional functionality. Integrated technologies, in the example of access control, video verification, intrusion and fire detection result in the most comprehensive specification and the highest levels of security, asset protection and loss prevention. For additional peace of mind, Patrol Services add another level of professional response to alarms and onsite security checks at the customer location. 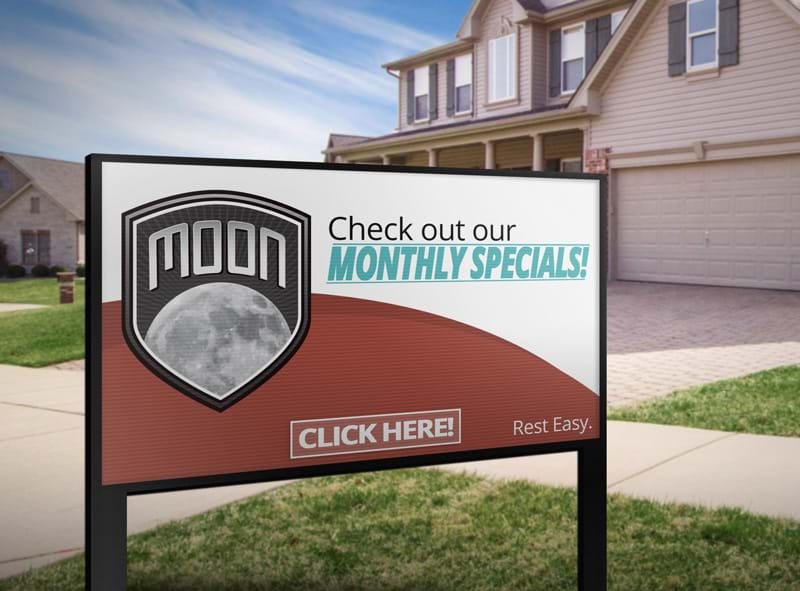 Moon Security provides home security, commercial security, patrol services, and EHM in eastern Washington state, western Idaho, and northeastern Oregon. With offices in Pasco and Spokane Washington, our team is strategically located to provide the region with prompt and professional security services. Note: Our Kirkland, WA office is only a provider of Electronic Home Monitoring services and does not provide security or fire solutions. 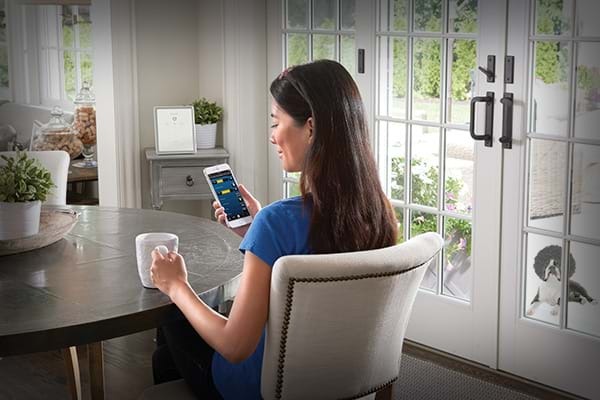 Moon Security delivers the latest, proven electronic security solutions – with a personal touch. We care about our customers, community and employees. When you call us, you can speak with a live person who can address an alarm or provide technology advice. Technology synchronizes with your daily challenges. Solutions are custom designed—we don’t rely on canned or cookie cutter options.